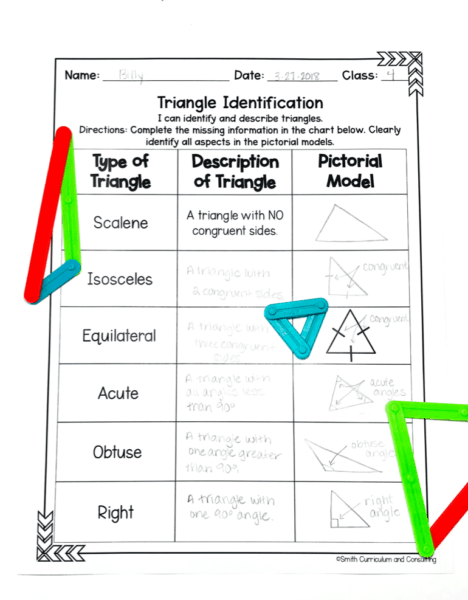 In fourth grade students are tasked with building a basic knowledge of classifying triangles based on their attributes, identifying angles (right, acute and obtuse) as well as classifying two-dimensional figures based on their characteristics (TEKS 4.6c, TEKS 4.6d). While this is a fourth grade skill, it seems to be an area that many grade levels beyond also need enforcement in before our students can move on to three dimensional geometry and using formulas for volume and surface area. 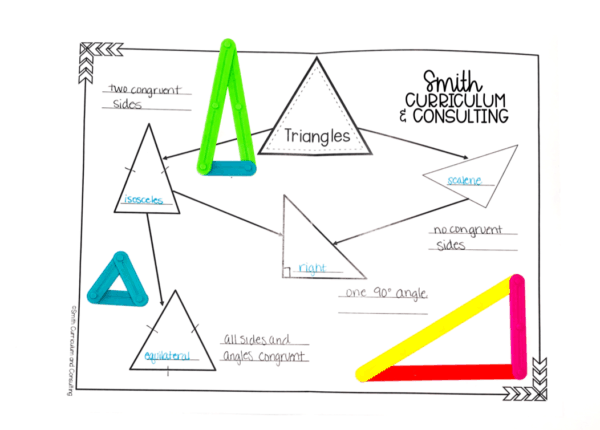 This lesson was something that I created and used when I was teaching 7th and 8th grade Special Education Math where my students struggled with the connections of shapes. Where Should I Start when Classifying Triangles? Students should first work to organize what they know based on prior learning. A great way to do this is create a hierarchy of triangles. 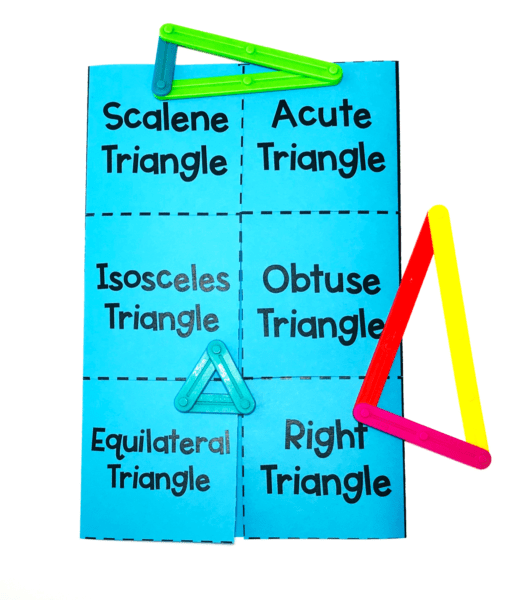 In this hierarchy, students can use Exploragons to create each of the triangles to visualize each of the characteristics of the triangles on the chart before completing the attributes for future reference. 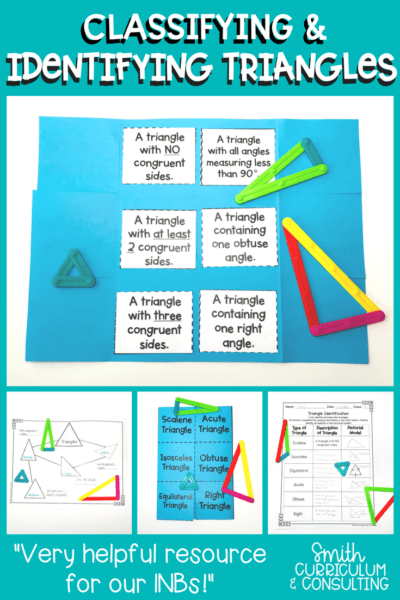 With this anchor chart complete your students can begin to build connection and patterns in the various types of triangles and how they relate to one another. Where do we go from there? 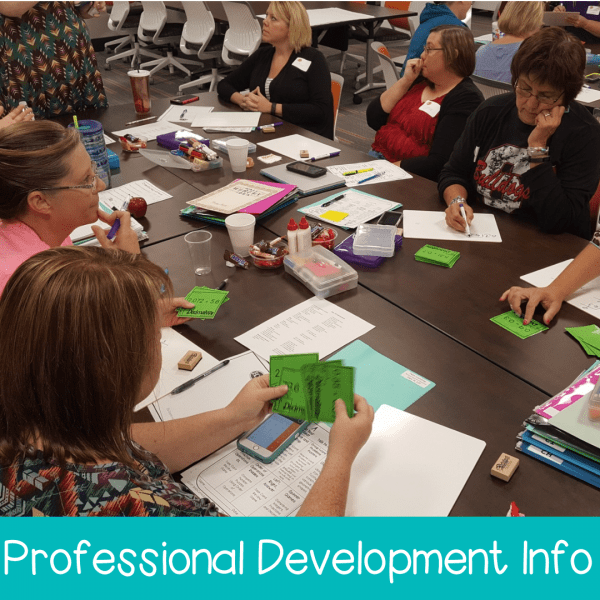 Well, keep out those Exploragons and let’s keep the students building triangles to help them understand various types more than just memorizing a definition. I’ve created a flippable that my students loved because it was a puzzle of sorts. They were given the labels and then they had to match the definitions with the correct terminology. This sounds easy but for many it isn’t… even when they get to middle school. 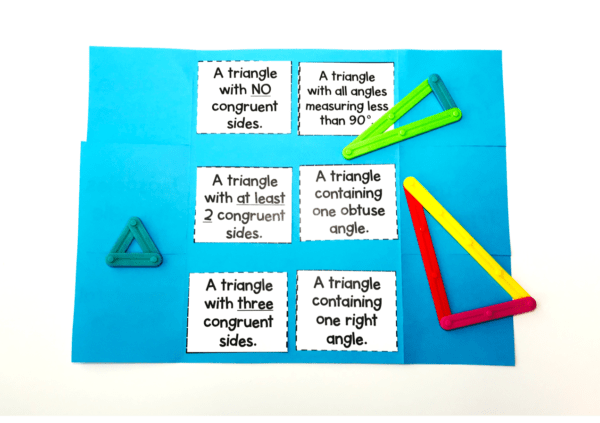 As you can see, you can take this up a step by having the students create a triangle with Exploragons for each of the definitions before they even adhere them into their flippable. This has them building and engaging with the definitions and then even maybe doing a Think-Pair-Share after they have created their examples. Think of all that awesome communication that would be going on! We all know that follow-up is important and for this it is pretty simple, get students describing and illustrating the different types of triangles. Build on that communication aspect that they practiced during the Think-Pair-Share (this is truly an effective strategy that I used all the time in my classroom and I still use to this day in my workshops) and allow students to express what they have learned. Not only do they get to express what they have learned, they get to illustrate it as well. This is when they can use those Exploragons once again to build their model first to easily create a pictorial model. So happy that you asked. Well, my friends at EAI are so nice and they are offering a 15% discount to anyone interested in purchasing Exploragons Teacher Sets for their classroom. Jump on over, check them out and grab some today. Use the code SCCSAVE15 at checkout to save your 15% and make sure to do it soon because the savings is only good through May 13, 2018! These truly are not only perfect when you are teaching concepts of geometry (which I have ONE more idea coming next week), but also great for intervention, math test prep and even just end of the year review! I was wondering if you were going to be at CAMT. this year? Yes! I will be there! 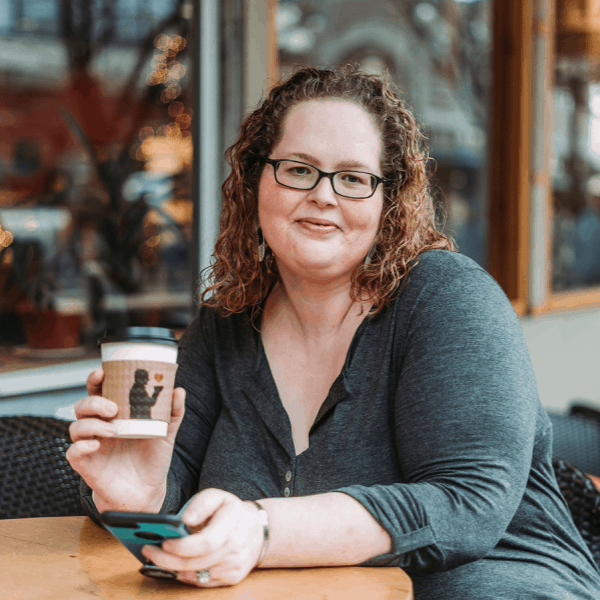 I’m presenting 2 sessions and will be in the 400 row for my booth.